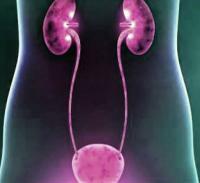 Pain while urinating (or burning when urinating) is one of the most common symptoms in clinical practice, receiving the name of dysuria in the medical environment. Most people relate the pain to urinating only with a urinary tract infection, but several other urinary or gynecological problems can cause this type of symptom. Interstitial cystitis, also known as chronic cystitis or painful bladder syndrome, is a condition that mainly affects women and is characterized by recurrent pain in the bladder, similar to those that arise in cases of urinary tract infection. 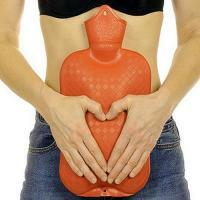 Urinary tract infection is the most common bacterial diseases in humans, especially in females. It is estimated that 60 to 70% of women will experience at least one episode of UTI during their lifetime. Urinary infection is the name given to the infection of any structure of the urinary tract, including urethra, bladder, ureters or kidneys. In more than 95% of the patients the infection is of bacterial origin, being the bacterium Escherichia coli responsible for more than 3/4 of these cases. Urinary incontinence is the loss of ability to control the bladder, causing involuntary leakage of urine, a problem that affects millions of women around the world. In this article we explain the causes and types of urinary incontinence. Urinary tract infection, especially bladder infection, called cystitis, is a relatively common complication in pregnant women. Pregnancy causes hormonal and physical changes in the woman's body which, along with the difficulty with hygiene due to a distended belly, increase the frequency of urinary tract infections. In this text we will talk about the urinary tract infection in pregnancy. 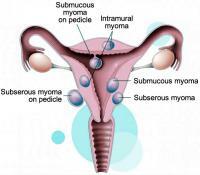 The uterine myoma, also called leiomyoma, is a tumor that originates from the muscular tissue of the uterus. Myoma is a benign tumor of the uterus, that is, a lesion that is not cancer and presents no risk of malignant transformation.